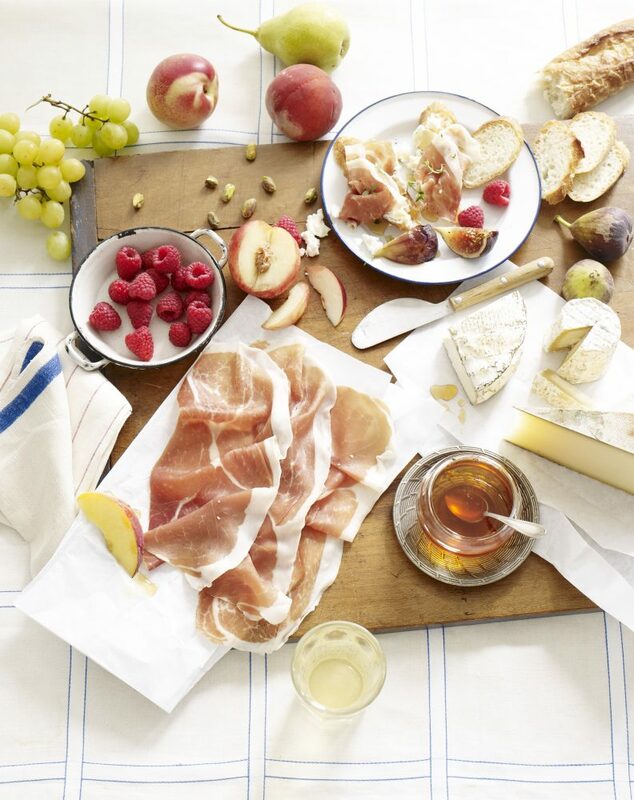 A picnic spread that includes pear and prosciutto or prosciutto and cheese makes spring and summer just a little bit better. Just store your prosciutto and cheese in individual containers or zip lock bags and place into a bag. Blanket? Check. Serving board? Check. Napkins? Check. Don’t forget that bottle of wine and some glasses. That’s it – you’re all set!